I have always wanted to make the perfect muffins, when I came across your recipe, I was a little reluctant, but tried it anyway…… I was totally amazed. It is simple enough for a working mom like me and they always turn out “PERFECT” . Thanks to you my family now enjoys the light fluffy muffins. Almost 7 years later and I still come back to this recipe! Thanks again! 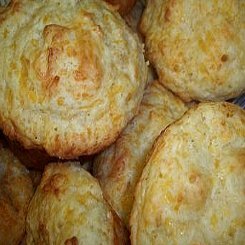 Will adding 1Tbsp of baking powder not give the cheese muffins a “strange” after taste? I sometimes find one has a powdery taste left in your mouth when too much baking powder is used. Yes? No? Thank you Graham. I will try these out tonight.